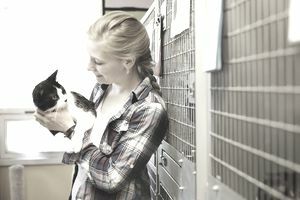 Nonprofit animal organizations have become increasingly popular in recent years, providing a wide array of services and advocacy programs that ensure animal welfare. Here are some tips on how to go about starting a nonprofit animal organization. Define a Mission. When founding a nonprofit, it is critical that you determine and define your organization’s goals at the outset. Do you want to open an animal rescue facility, a low-cost spay/neuter clinic, a trap and release group, a pet food bank, or a therapeutic riding program? Will your organization act as an advocacy group or provide direct care for animals? Choose a Unique and Descriptive Name. Your organization’s name should be distinctive and correlate directly to the type of services you provide. Avoid names that are already in use if possible (a quick search of the internet can alert you to such cases). Definitely be sure not to choose a name used by a large national group or any group that operates in your area. Recruit a Board of Directors. A nonprofit organization can benefit from having a board of individuals with backgrounds in areas such as business management, veterinary medicine, law, administration, accounting, marketing, and grant writing. A small board of 3 to 7 committed members is generally recommended. Create a Budget. The IRS will require a budget for your organization’s filing documents, and donors may ask to view your budget plan before offering funding. Open a Corporate Bank Account. You will need to handle (hopefully) a significant amount of funding from donors. The corporate bank account should be set up right away to accommodate necessary deposits and withdrawals. Formally Apply for Nonprofit Status. Nonprofit status is also known as 501(c) (3) tax-exempt status. Once your organization qualifies, donors will be permitted to write off their contributions of money, supplies, and other material gifts. This tax-exempt status can be a key qualifier for a number of grant programs and private donations. It can also qualify your organization for tax-exempt postal rates for mailings and exemptions from property, sales, or income taxes. After filling out the proper paperwork (Form 1023) with the Internal Revenue Service, an organization will be considered for 501(c)(3) status. It can take three to six months (or longer) to obtain approval, so it is important to handle the paperwork without delay. The determination letter that approves an organization’s tax-exempt status should be kept in a safe place where it can be accessed at the request of donors. Groups expecting to bring in $5,000 or less in revenue from donations or other activities might not be required to request official tax-exempt status from the IRS, provided they operate in a manner compliant with the 501(c)(3) guidelines. An attorney should always be consulted to be sure that all documentation is in order to ensure state and government approval. Seek Publicity. When your organization is ready to go public, be sure to distribute a press release to the media that announces an open house event or initial volunteer meeting. Local television stations, radio stations, newspapers, magazines, and animal-related businesses may be willing to spread the word if approached by a representative from your group. Mailing lists can also be rented or borrowed from other animal organizations for use in targeted direct mailings. The internet and social media sites can play a large role in promoting your nonprofit organization. Be sure to immediately create a presence on Facebook and Twitter so supporters can stay up to date with the latest information on upcoming events. You should also consider creating a website and email newsletter to show donors all the good work that you do with their funds. If you are rescuing animals directly, be sure to utilize major placement sites such as Petfinder.com to advertise adoptable pets. Seek Donations and Volunteers. Donations can come in various forms: money, materials, services, and volunteer service hours. A volunteer force is very important in keeping animal nonprofit groups running, so try to recruit as many members of the community as possible. They can assist with day to day animal care, publicity, fundraising events, and recruitment of new volunteers. Corporate sponsors are possible sources of funding, as many large businesses seek tax deductions through their donations to charitable groups. Local businesses may also be willing to contribute to a community animal organization, whether through financial support or donation of goods and services. Photographers may donate photos for your website or brochures, pet food manufacturers may donate their products, veterinarians may offer free or discounted services. Sponsors may also donate their goods and services to charity auctions and other fundraising events.